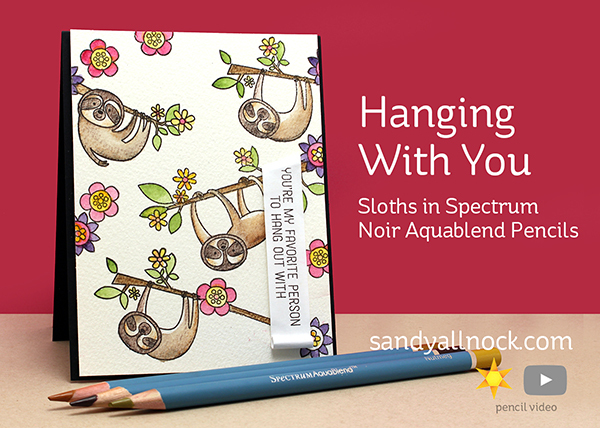 Hanging With You – Sloths! Since I was trying out the regular Spectrum Noir pencils (non watercolor) the other day, I picked up a set of the Aquablend pencils, too, just to try them out. Pretty impressive! I got the Watch the video below or click HERE to see it in HD on YouTube. Sweet. I have this set. I love the idea of the sentiment upside down. What a great sentiment to go with this card. 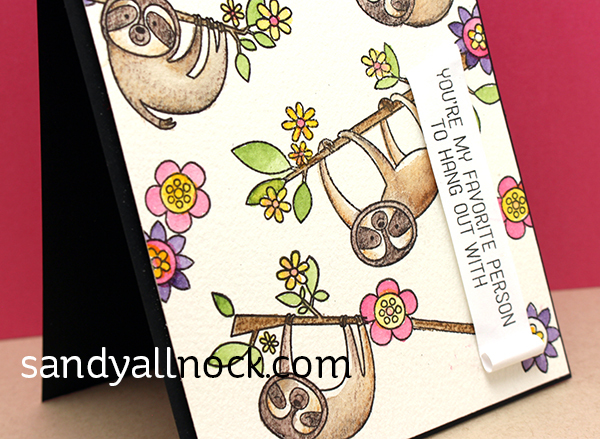 Sloths, eh? Pretty cute! A while back it was sea otters… maybe they’re just looking around for more cute critters… Whatever – it’s all fun. Nice that someone came out with a group of skin tones – that should be handy! I just received my Misti corners yesterday, so I was glad to see them in use – thanks for all you do, Sandy! !